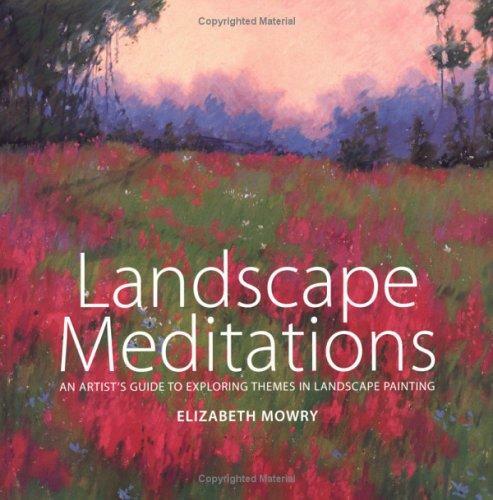 This entry was posted in Uncategorized and tagged Book, Drawing, Elizabeth Mowry, Inspiration, Landscape Meditations, Oil, Painting, Pastel, Photography, Watercolor by nixonphoto. Bookmark the permalink. I reviewed your comments and the comments about the book online at Amazon, I agree that inspiration can be shared and this ma just be one more catalyst that moves my photography forward another notch, thanks for sharing, my copy will arrive in a few days . . new insights to series work was where I was headed with my landscape work. Glad that you found this useful. Please do stop by with any additional comments once you’ve read through the book. I have read this book and have it in my collection, also. I think it is not so much different than what you do. You are an artist and she spoke artist to artist. …and not just the art of creating visual images, either; anytime anyone takes the time to inject the humaness of what they do, I learn and try to being it to my own adventure in creating. I “see” through new eyes.